Many of my friends have heard me talk a great deal about ownCloud. I talk about it, because it is a tool that does so much for me and is completely FREE and open source. 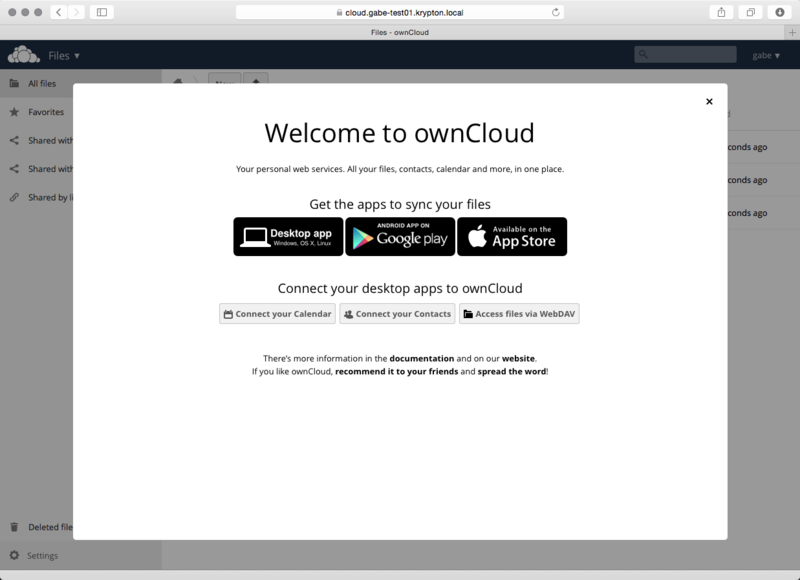 You can run ownCloud on a server at home or anywhere you can run a Linux server. As of version 8, Windows Server is no longer supported, so you’ll need to install ownCloud on a Linux server. Don’t worry – you don’t have to be a Linux superuser to run it. This guide will give you everything you need to setup your operating system AND ownCloud, with simplicity and security top of mind. I pay $9/month for a virtual server that hosts ownCloud, a wordpress blog, and few other things. ownCloud is my central point for my Calendar, Contacts, notes, tasks (reminders), files and folders (read:Dropbox/OneDrive), bookmarks, Email, and more! I would like to contribute to the project, but since I am not a developer, I decided to use what I do know about ownCloud by sharing my experiences to help others get started. I’ll provide some detail on how I use it that may help others get the best out of ownCloud. There are many guides online in doing this; however, in this series, I will focus on giving you the complete steps to go from a fresh Ubuntu server installation (14.04 in this guide), to https only, https://cloud.your-domain.com. Then we’ll go beyond in future posts about applications (webmail, calendars, contacts, bookmarks, etc), tweaking, etc. 1 – This installation will be in a subdomain, for example: https://cloud.contoso.com, NOT in a subfolder https://www.contoso.com/cloud. I prefer the flexibility of subdomains, but you can tailor this to your choice – just know this is how I’ll detail the installation. 3 – This will be HTTPS only, HTTP will redirect to HTTPS. It will use self-signed certificates. Obviously in production, you’d buy a cert. 4 – If this post helps you in any way or if I can improve this installation guide, drop me a comment. Before going any further, I recommend you’ve completed these previous steps. I highly recommend following the entire “Securing Your Server” section above before continuing ! Don’t use the root user, pretty please. Using SSH key pair for login, disabling root login, configuring a firewall… These steps are always important for ubuntu server setups and shouldn’t be skipped. Now we will configure the post and upload max file size limits. As you’ll be uploading files, we want to ensure the limitation is proper, as opposed to just running a simple CMS site. I set mine to 2G for 2 Gigabytes. 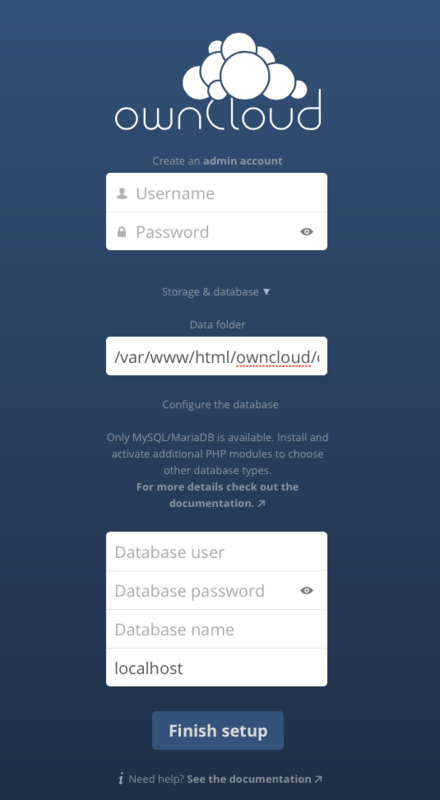 Last step before we begin is to create a directory in which to store the owncloud user data. It is HIGHLY recommended you not use /var/www/owncloud/data, and to use a directory outside of this and that the apache user be the owner. More on this in a bit. Next we need to configure the apache site. There are multiple steps to configure this bit. Configure the HTTP port 80 site. Configure the HTTPS port 443 site. First, we’ll configure the HTTP port 80 site, with the knowledge that we will being forwarding traffic to HTTPS. Next we will configure certificates we’ll use for the HTTPS site. We create a directory to dump SSL certificates, another directory specifically for owncloud. The certificate will be good for 10 years and for it to create server.key and server.crt files should be in the /etc/apache2/ssl/owncloud folder. When prompted fill in the information, common name should be “cloud.your-domain.com”. 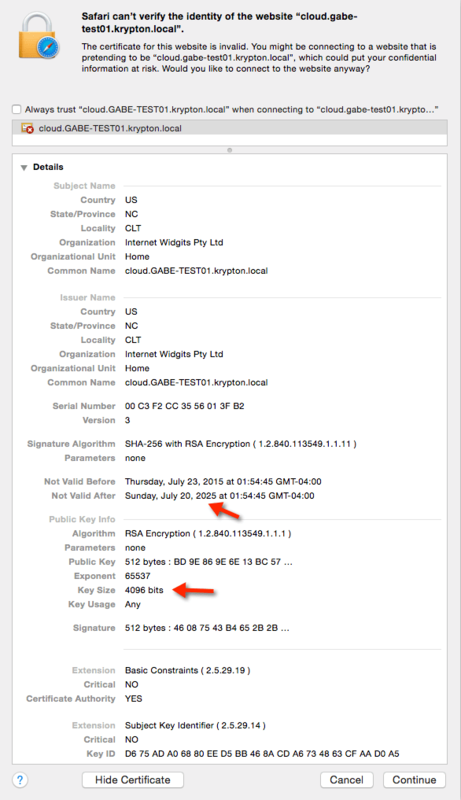 Here is an example, notice the SSLCertificateFile and SSLCertificateKeyFile mapped to what we just created. Header always add Strict-Transport-Security "max-age=15768000; preload"
You should get a reminder that the certificate is not trusted, this is okay, as you can verify the data you entered! Then you will see the owncloud welcome page, but take your time here and confirm your settings are correct before proceeding! Specify a username and password for the admin account (document this), change the location of the Data folder to what we made above! Then simply enter in the db user, db user password, the db we created earlier, leave localhost as this refers to the server’s local mysql instance. When you hit Finish setup, you should be brought to the login screen! In my next posts in the series, I will show you how to tweak the server, and show how I have further configured ownCloud, my Ubuntu server, and utilize the applications every day.